In Albany, Pipeline to Jobs organized tours for students at industry, including ATI, National Frozen Foods and Wood Castle Furniture. 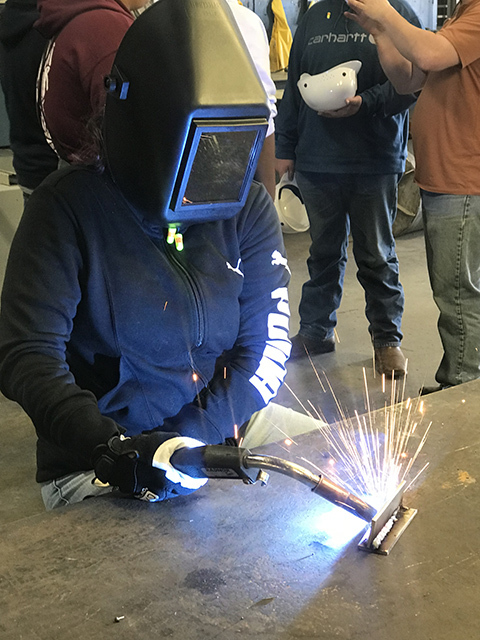 Students toured the facilities, spoke to employers and learned about skills to help them get hired and advance in a career. 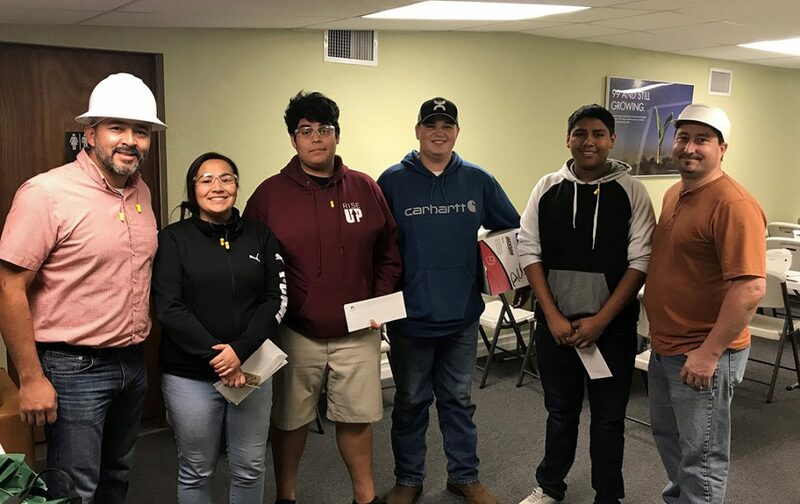 At National Frozen Foods, students learned and practiced welding skills and won prizes for welding activities. Wyett Luttrell, pictured above, won a welding helmet provided by General Manager Armando Nunez. 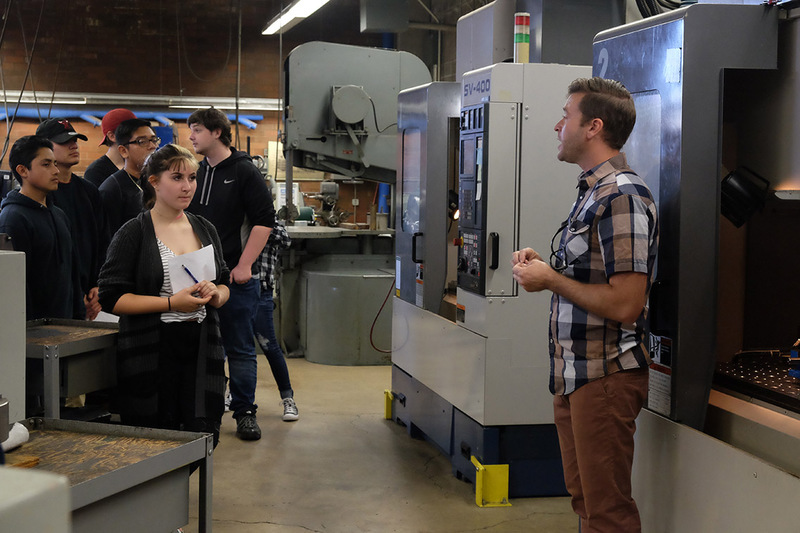 After the tours, students returned to LBCC to learn more about LBCC programs that train students for local jobs. 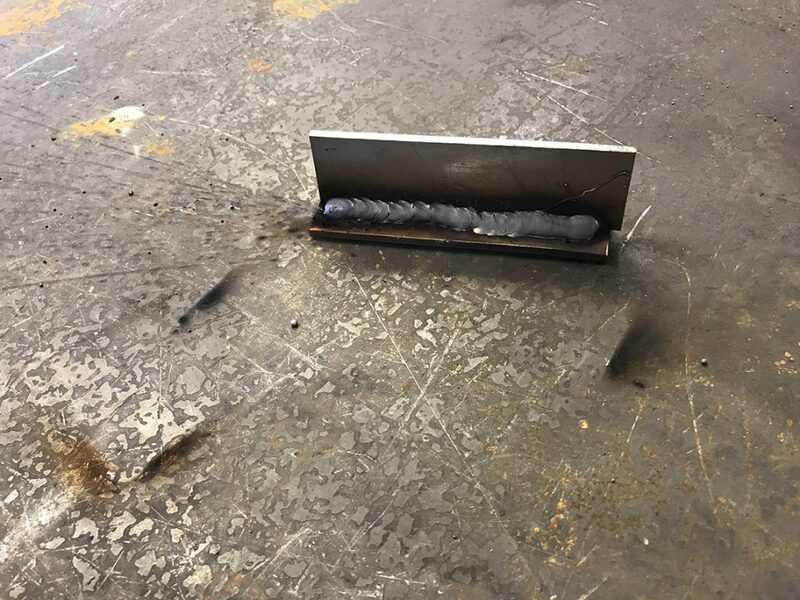 Students toured training space for Machine Tool, Mechatronics, CADD, Welding and Non-Destructive Testing programs.